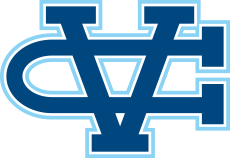 Thank you for your interest in the Valley Christian Cross Country program! Please take a moment and fill out our participant sign-up form at the link below. We are looking forward to another amazing season of Warrior athletics! Last season the girls cross country team qualified for their seventh state championship in nine years, finishing second in CCS for DIII. The boys are coming off their most successful season in school history and return six of their top seven from last season. It is good to be a Warrior! Summer training starts in the middle of June. Contact Coach Small at joshsmall@gmail.com to get on our summer e-mail list. Be sure to check out our team blog for updates throughout the summer!